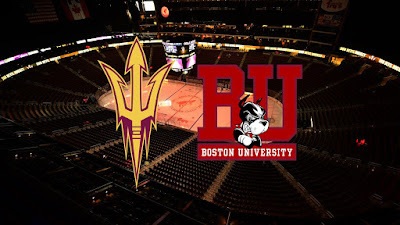 BU Hockey has issued a 2017-18 Midseason Newsletter with a report from Coach David Quinn, news and group travel information for next Thanksgiving weekend’s Friendship Four tournament in Belfast, a listing of Terriers currently playing professional hockey in North America and Europe and more. 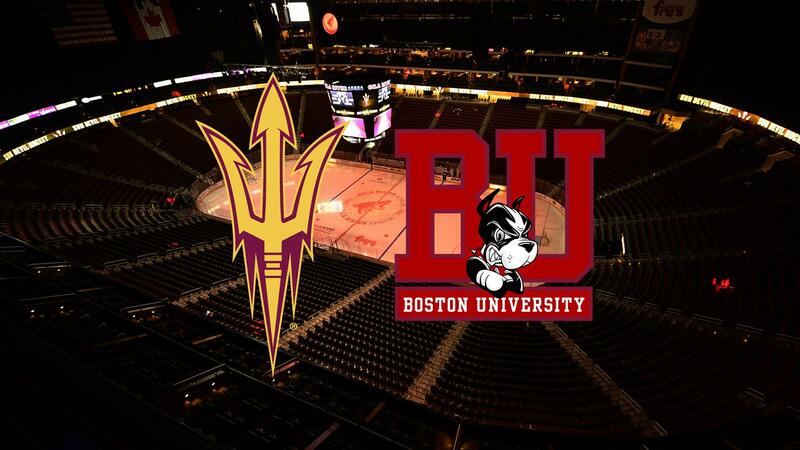 The venue for the Terriers’ Friday, Jan. 26, game against Arizona State has been moved to Gila River Arena, home of the Arizona Coyotes. The teams will conclude the two-game series—their first-ever meetings—the next night at Oceanside Ice Arena. Saturday’s contest is already a sellout. Team USA played its final WJC pre-tournament game, defeating Sweden, 3-1. Jake Oettinger played the first half of the contest, yielding one goal on a screened shot from the blueline. Patrick Harper, skating on the top line, assisted on Team USA’s first tally, a power-play goal. Brady Tkachuk had a strong game, skating with Logan Brown and Kailer Yamamoto. All three Terriers made the final roster, announced today. Team USA competes in Group A in the tournament and will face Denmark on Monday evening, followed by games against Slovakia, Canada (outdoor game) and Finland. All games will air on NHL Network. Terrier freshman Kasper Kotkansalo is on Finland's final roster for the tournament. Sophomore Dante Fabbro is on Canada's roster again, although he's day-to-day with a lower-body injury after blocking a shot in an exhibition game. 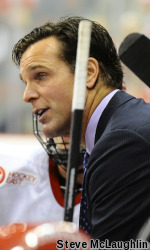 ● NYHJ: Jeff Cox's scouting report on Team USA skaters and goalies. This goal from @Jack15Eichel ends up the GWG. Jack Eichel became the first Sabre to score two empty net goals in a game as Buffalo defeated Philadelphia, 4-2. The Flyers scored after Eichel’s first goal, making the first ENG the game-winner. Charlie McAvoy celebrated his 20th birthday on Thursday by scoring the game-winning shootout goal in the Bruins’ 2-1 win against Winnipeg. The former BU standout is now 2-for-2 in shootouts. ● Boston Herald Birthday boy MacAvoy’s shootout goal lifts Bruins. 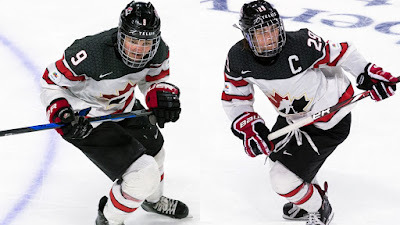 Former BU standouts Marie-Philip Poulin and Jennifer Wakefield have been named to the Canadian roster for the 2018 Olympic Games. For Poulin, it will be her third time playing Olympic hockey. Four years ago, she shocked the United States with a pair of goals in the gold-medal game, including the winner on a 4-on-3 power play at 8:10 of overtime at Bolshoy Ice Dome in Sochi, Russia. Wakefield will participate in her second Olympiad.